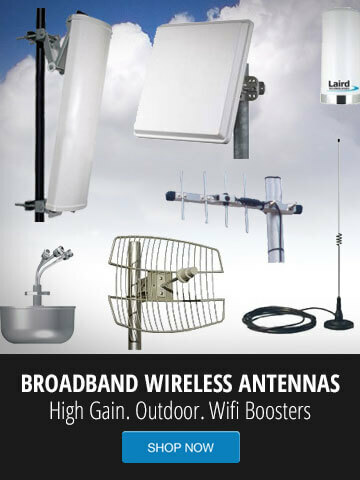 GNS Wireless offers a broad selection of low loss 400 Series bulk coaxial cable. When used correctly, the LMR-400 equivalent cable can be used for cable runs in excessive of 100ft. The cable is light, flexible and weatherproof. It has a black jacket. The LMR400-Series equivalent cable is a high performance cable which has become a "standard" antenna cable of the outdoor wireless LAN and Wi-Fi industries. Several off the shelf styles are available including Plenum rated to comply with specific building codes. These cables come un-stripped, and can either come on a spool, or rolled. 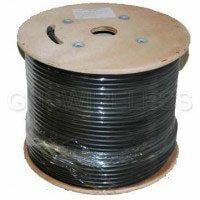 The bulk coax cable is un-tipped (raw cut) and are also available by the foot. Please contact us if you are unsure on what type of cable you need for your application.